Will get the updated 1.5L TDI engine. 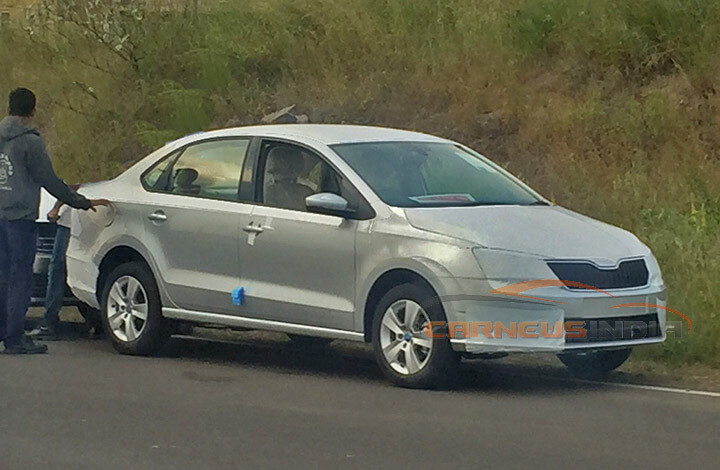 The spyshot below is of the Skoda Rapid facelift which is expected to launch sometime soon. As seen in the image, designers have given the sedan a new grille inspired by the likes of modern Skoda models such as the Octavia and Kodiaq. 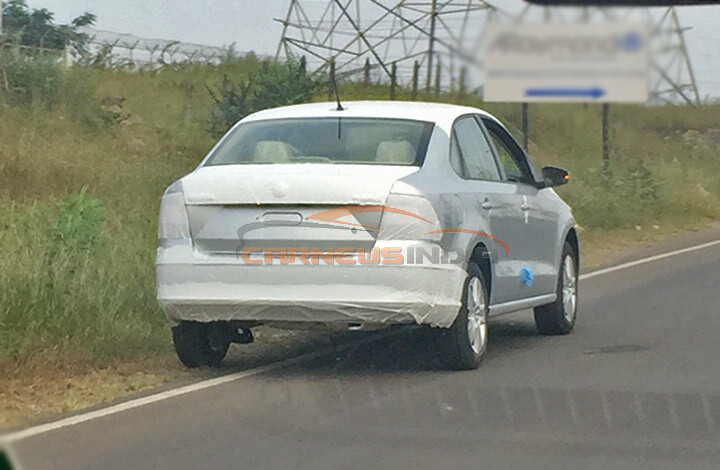 The headlights also appear to be redesigned and could incorporate LED daytime running lights. The Skoda Rapid facelift will continue offering 7-speed DSG and 5-MT gearbox choices. There appears to be no changes to the rear of the Rapid facelift however. Even the alloy wheels are of the current Rapid, though Skoda is expected to continue offering its 'Black' pack with black alloy wheels and roof. On the inside, the Skoda Rapid facelift will continue with its present interior theme, which is finished in a dual-tone black-and-beige livery. The top-end variant is expected to get a touchscreen entertainment system with the modern MirrorLink system and Bluetooth support, navigation and reverse camera display. The updated 1.5 TDI engine features an additional 5 PS of power, though the torque output is unchanged. Under the hood, the Rapid facelift is expected with the updated 1.5-liter TDI engine which made its debut in the VW Ameo. The power output has increased from 105 PS to 110 PS, though the torque remains unchanged at 250 Nm. The DSG 7-speed automatic transmission and the 5-speed manual will continue being offered on the Rapid facelift.